Pentland Medical focus on providing unique clinical products for healthcare. We have identified specific areas in Anaesthesia, Operating Theatres, Gastroenterology, Emergency Care, and Infection Prevention where advances in technology offer genuine improvements in healthcare. Many of the solutions we provide, not only benefit both patient and clinician, but also deliver real cost savings. We believe in encouraging innovation, providing genuine clinical advantages and offering quality above everything else. We are committed to innovative product development, this focus and foresight enables us to provide products that are economical, efficient and proven to improve patient outcome. Today’s healthcare market is predominantly driven by procurement and a ‘value for money’ ethos; we understand this. We are currently working with hospitals and universities on new exciting product developments for the global healthcare market, ensuring that the aims above are met now and in the future. 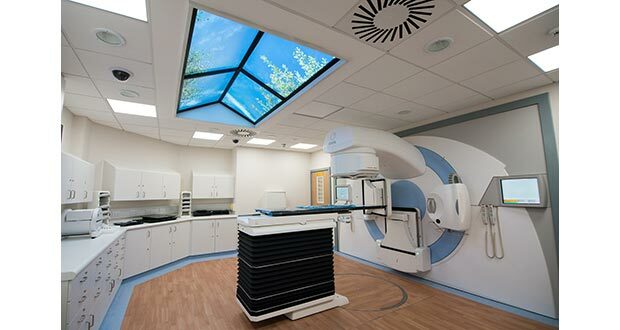 Sky Inside UK’s virtual windows and ceilings can transform dull healthcare interiors. Installments display biophilic designs which create a beneficial connection to the natural world. Products have had a proven positive impact; those with delirium suffer for a shorter time, quickly becoming less confused and agitated. Patients are reintroduced to a regular pattern as the moving images reflect the natural day’s cycle outside. As well as patients, the windows also help staff and visitors to relax.